September seems to be a season for budget phones as brands are launching back to back budget offerings this month. One of the most prominent launches among this is the Honor 7S, which the Huawei sub-brand introduced in the market a couple of weeks ago. The Honor 7S was one of the most awaited phones in the Honor 7 series. With that being said, we have listed the top five features of the Honor 7S which make it a phone worth eyeing. Although the Honor 7S doesn’t come with a screen which would be comparable to other phones in the market right now, it offers 73% screen-to-body ratio with a design which is appealing to the crowd. The phone sports an IPS LCD panel which measures 5.45-inch and renders 720 x 1440 HD+ resolution with a 2.5D curved glass layer encasing it. Honor 7S comes with a blue light reduction feature which cuts the blue light on the screen to reduce eye strain on the users’ eyes. For someone who likes to read ebooks on their phone, it will be a nice feature to make sure that you don’t hurt your eyes. Users can also use it when they use their phone at night in the dark. Since the Honor 7S debuts as an entry-level smartphone with a very light price tag, it does not come with a fingerprint sensor. However, the company has gone as far ahead to equip it with a smart face unlock which is enabled by the front camera on the device. The Honor 7S sports a selfie flash for clicking decent quality selfies even in low light situations. The front camera on the device is a 5MP shooter while the rear camera is a 13MP unit which comes with PDAF and LED flash. Despite being an entry-level smartphone, the Honor 7S comes with Dual 4G support meaning that you won’t have to be dependent on a single SIM to experience good browsing speed and VoLTE calls, users will be able to use 4G SIM cards at the same time on the Honor 7S. The Honor 7S comes with a 5.45-inch sized IPS LCD FullView display which renders a resolution of 720 x 1440 HD+ resolution and comes encased in a 2.5D curved glass layer on top with the aspect ratio of the screen being 18:9. The pixel density of the screen is 295 PPI, and it averages a screen to body ratio of 73%. For performance, the phone comes powered by MediaTek MT6739 64-bit quad-core processor paired with a PowerVR Rogue GE8100 GPU. This SoC comes accompanied with 2GB of RAM and 16GB of internal storage. For further expansion, users will be able to make use of the dedicated microSD SIM card slot to expand their storage up to 256GB. For camera and imaging the phone sports a 13MP rear shooter which comes with a LED flash and a PDAF. On the front, the phone sports a 5MP shooter which also interestingly comes with a LED flash, and it also supports other functions like Face Unlock and more. 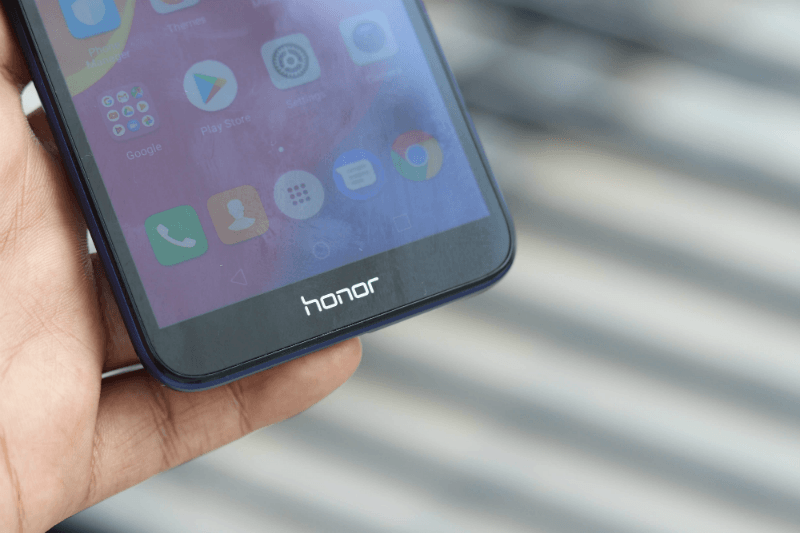 The connectivity options on the Honor 7S include Wi-Fi 802.11 b/g/n, Bluetooth 4.2 Low Energy, GPS with A-GPS, GLONASS, FM radio, and 4G VoLTE and it packs a battery of 3020mAh. Although there is not fast charging on the Honor 7S, it comes with Smart battery management 6.0 that enables smart power saving and background power management. The sensors on the phone include an accelerometer, proximity sensor and the dimensions of the phone measure 146.5 x 70.9 x 8.3mm and it weighs 142 grams. On the software front, the phone boots Android 8.1 Oreo-based EMUI 8.1 out of the box. The Honor 7S comes with a price tag of Rs 6,999, and it comes in three colours of Black, Blue and Gold. The Honor 7S is a Flipkart exclusive device, and it has started selling on the e-commerce website since September 14. 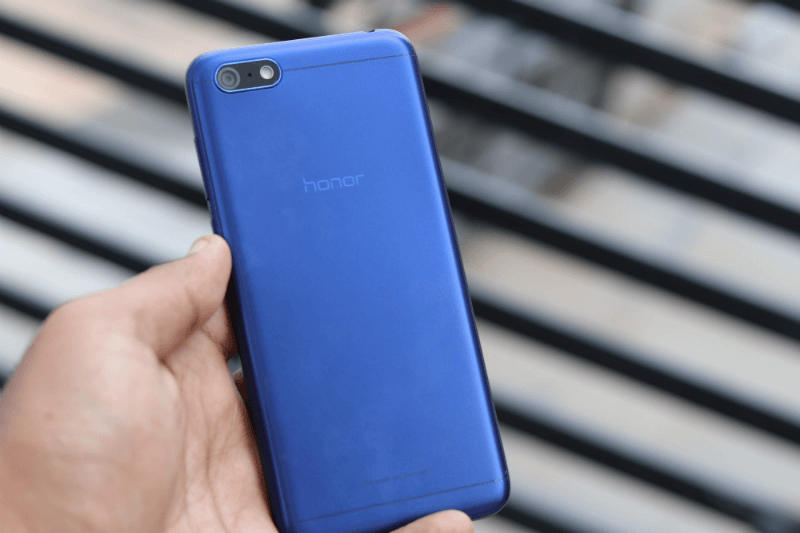 The phone is also available on Honor India online store.